Spartan Slots Casino's main site doesn't stand the chance of impressing the experienced casino player when it comes to graphics. They look amateurish. Of course, the content is more important than the graphics. So it would be good to see whether the casino looks better in that area. The Top Game software isn't the most powerful software platform out there. However, it does feature a good number of interesting games. This casino has chosen to use this software. But the players don't need to download the software. They can also use the instant play option. The list of winners is announced, so that everyone can see what kind of prizes can be obtained inside the casino. 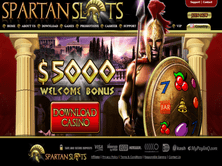 The full Spartan Slots Casino bonus deal offer features deals worth close to $5000. This sum is spread out over the first six deposits at the place. A 200% up to $400 deal is available for those who make a 1st deposit. The players who drop the 2nd deposit can expect to receive 100% up to $1000. The 3rd offer consists of a reload bonus. In this case, 100 % up to $1000 is offered. If a player deposits $50 dollars, the same player will end up with $100. The 4th warrior reload bonus provides 150% up to $600. The last bonuses in this package (5th and 6th) give 50% up to $1000. While these deals already sound very promising, it is important to mention a few more offers. For example, the players who frequently log into their accounts will be able to participate in the numerous daily offers that are singled out. Of course, the very generous amounts of money can likewise be picked up during the various tournaments on the site. The fact that it is so convenient to make a deposit should persuade those who are sitting on the fence. Here are just some of the supported financial transaction services/credit cards; Visa, MasterCard, Moneytransfers, Bank Wire, Eco Card, Skrill, Neteller, Poli, PaySafeCard, WebMoney. There are various restrictions that await players who arrive at the casino from the following locations; Costa Rica, Romania, Bulgaria, Poland, Denmark, Israel and Ukraine. They may not be able to open an account with the casino. It is the responsibility of each individual player to learn about the laws that govern gambling in a particular jurisdiction. Aside from the aforementioned restrictions, the website has an „open door" policy for players from around the globe. However, the English language is the only supported language. It is definitely nice to see American players on the website. Some online casinos do not publish a list of their most popular games. Spartan Slots Casino is among them. The website does feature a wide variety of very interesting games. For example, the player can check out games like; Graveyard Shift, New Tales of Egypt, Gret Reef, Summer Party, Dice and Fire, Sugar Rush, Crazy Jungle, Diablo 13 Line, Ocean Fantasy, Witches Cauldron, Mad Orchestra, Vikings and Striking, Reel Gangsters, Bee Land, Cool Stone Age, Treasures of Pharaohs, Fruit Slot, and many others. The game categories would include; Video Slots, Classic Slots & Other Games. Withdrawals and payments are the areas of particular weakness. The players are highlighting these issues most freqently. But the casino still manages to get ratings that aren't extremely poor. So it appears that the problems may be occuring. However, it is also the case that some players are not experiencing them. The website provides help via e-mail. It also has live support. The license was obtained in Cuaraco. It better seen as a business license. It grants the casino the right to operate. However, the license does not carry much weight in the world of online casinos. This particular casino has been around since 2008. My experience tells me that this casino is worth observing. 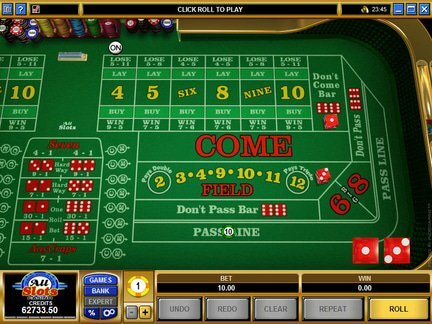 It offers many games that are unique in the online casino world. I found that the slots game category is the most impressive of all the game divisions. The fact that the casino is only available in English may be a possible limitation. But I am convinced that the players from non-English speaking countries will easily understand the instructions with google translate, as plain language is used for the purpose of communication.